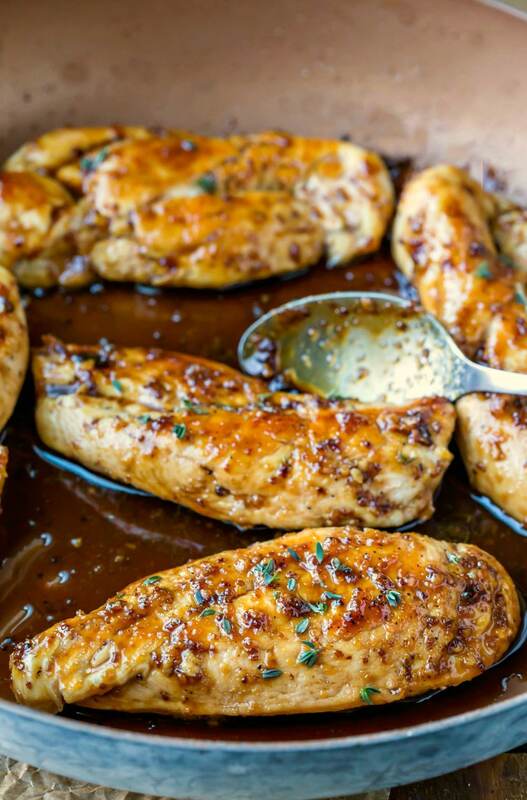 Maple Mustard Glazed Chicken is an easy sweet and savory one-skillet chicken dinner recipe that’s perfect for fall dinners. This time of year, pumpkin gets all the glory. There are so many other great fall flavors, like apple and maple, that deserve their turn in the spotlight, too. 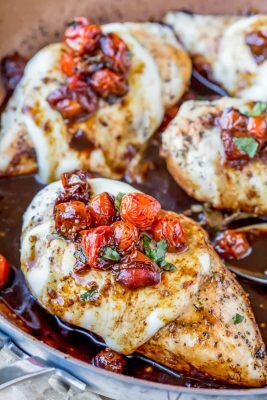 This maple mustard glazed chicken is a sweet and savory fall dinner recipe that is so easy to make! It’s made entirely in one skillet and is ready in about half in hour, which makes it a great for weeknight dinners. 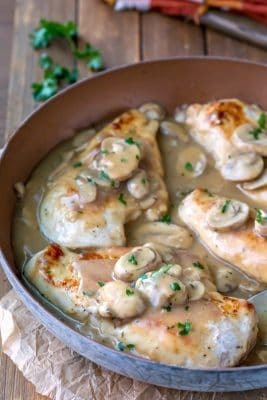 More easy skillet chicken dinner recipes! 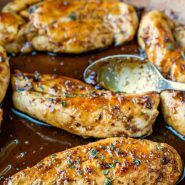 Maple Mustard Glazed Chicken is an easy sweet and savory one-skillet chicken dinner recipe that's perfect for fall dinners. Add chicken to pan, and cook 2 minutes on each side, or until browned. Add broth, syrup, half of thyme (1 teaspoon), and garlic to pan; bring to boil, scraping pan to loosen browned bits. Cook 2 minutes, stirring frequently. Add vinegar and mustard; cook 1 minutes stirring frequently. 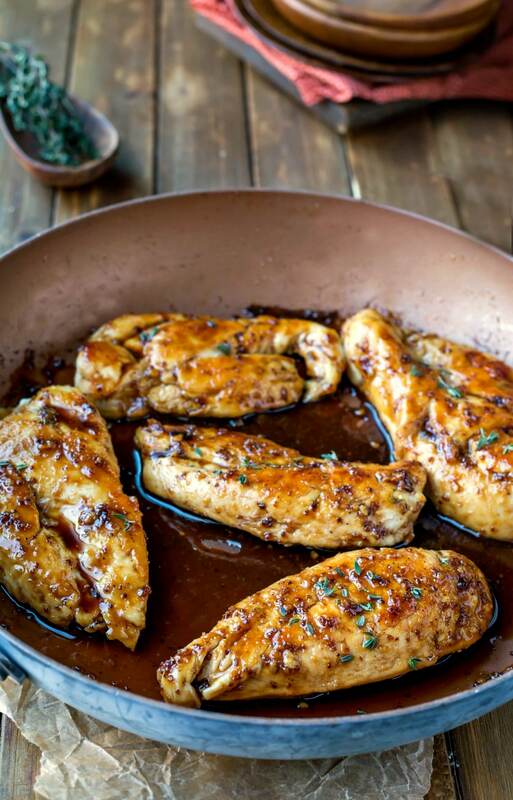 Return chicken to pan along with any accumulated juices, and spoon sauce over the top. Bake 10 minutes, or until chicken reaches 165F. Heat skillet over medium heat for 2 minutes, or until liquid thickens to syrup. Watch closely as sauce will thicken quickly. Serve sauce over chicken, and sprinkle with remaining thyme just before serving. This looks incredible! I love how simple it is!